Yes, Lenora and Larry were working overboard with us. Lenora sold my home originally, so I came back to buy another one from her. Yes, Lenora met our expectations. She was a pleasure throughout our purchase. She is a real professional and would definitely refer Lenora to our friends and/or family. Lenora is very knowledgeable, rational and takes the time to really listen to her clients. Lenora told us she knew exactly what type of home we were looking for and she found that exact home for us. We could not be more pleased! We would definitely refer Lenora. Lenora was our 1st and only choice. We would refer Lenora's Team, everything went well with our transaction. I was thrilled that my home sold in one day! Everyone was able to help get things done quickly and over all painless. Thank you Lenora & Lana! All details of our dealing with them were Excellent!! Lenora & Larry meant my exceptions and I will refer to family & friends. Great customer service. Both Larry & Lenora kept me informed & made the transaction flawless. Have and will refer to Lenora & Larry! Lenora & Larry responded in a moments notice, they were very impressive. They were smart and consistent all the way. Very easy to deal with. Your service was awesome, especially considering you helped us buy our Sun City home by seeing pictures only from Michigan! You exceeded our expectations in all ways. We felt from the very beginning like we were part of Lenora's family. Her caring attitude in helping us surpass all obstacles was second to none! She was always available by phone or email & most professional in the wonderful service she provided to us! Absolutely yes, we would refer family & friends to you! Dear Lenora: I was very pleased with your handling of my house sale, I will be happy to refer you! Great Team we enjoyed working with all of you! Yes, we would refer Lenora to family & Friends. Thank you for everything. Absolutely would recommend Lenora & her team to friends & family! It was a pleasure working together with them, they made a stressful process very easy. "Dear Lenora: Thank you for all of your help. You are the best and we love you! Dear Lenora: I will recommend you to family and friends! Thanks to Lenora I got the house I wanted. She realized immediately that a pending sale had fallen through and she contacted me so I could resubmit my offer! Dear Lenora: I would refer you to my friends and neighbors! My experience was outstanding throughout the entire transaction of the sale of my home from listing through escrow. Dear Lenora: We will definitely refer your team to our friends and family. We liked your son, he's a very nice man! Dear Lenora: We had a very professional, non-stressful escrow! Thank you! Dear Lenora: Your office was very efficient in every phase of the transaction! Thank you Lenora! Dear Lenora: Everything went great on the selling of our home! Thank you for the excellent service! Dear Lenora: You exceeded our expectations. We would not hesitate to recommend you. You were the best realtor that we could possibly have had for buying a house in Sun City. You understood what we were looking for and found us the perfect home. Thank you! Dear Lenora: You totally met our expectations! Thank you for making it possible for us to be in our new home. The sale of our home that we listed with you was crucial to being able to make the new purchase. There was in fact, so little time we did not think it was going to happen! Your expertise in the area and property prices were crucial, your pricing was perfect, a little higher than we expected, a real plus for us, the listing through escrow ran smoothly, we definitely will refer you to all friends and relatives! Dear Lenora: We will refer you to our friends and family regarding you as a real estate salesperson. As hard as it is giving up my home and most of my precious "things" my family and I are pleased with the result. I hope the new owners will be happy in my house. Thank you all so much. Dear Lenora: We were very pleased with all aspects of the sale of our home. You did an excellent job for us just as you did last time in 2008. We always tell people to see you. We also enjoyed meeting and dealing with Larry and Lana. Thanks to all for your help! Dear Lenora and team: What a wonderful surprise when I opened my front door to find your gift! My thanks go out to you, not only for the special gifts, but for making the purchase of my beautiful new home go so smoothly during the purchase process! It was such a pleasure working with you! My best to you all. Dear Lenora and team: We want to thank you for making our move-in day special! We love all the gifts, and would you believe, with all this heat, the roses are still looking pretty! Special thank you to Lana, you guided us and advised us to the finish line! Looking forward to getting to know and enjoy Sun City. Dear Lenora: You not only helped me find the perfect house, you familiarized me with the Sun City lifestyle and made me excited to live here. The list of services was invaluable! Thank you to the whole staff of Coldwell Banker. P.S. Just moved in this week and I am ready to enjoy life in my new home! Dear Lenora: You did a great job and I would definitely refer you, thanks! Dear Lenora: You went above and beyond our expectations and I would absolutely refer you to my friends and family! I couldn't have made this journey without your expertise. Many thanks! Dear Lenora: All things moved quickly and efficiently on the purchase of my home. Everything with my purchase and move was very helpful. Thank you for your help with this big change in my life at this time in my life. Dear Lenora: I appreciated your caring and warm service at a difficult time. You made the move as easy as possible for me. The clean-up after was particularly helpful! I would definitely refer your agency to others. Dear Lenora: You met/exceeded our expectations, and had a very professional service, active willingness to assist in move-out of furniture/clean up etc. Thank you. Dear Lenora: We would recommend you 100% to our friends and family. Lenora, you made it pain-free, much appreciated! Dear Lenora: Thank you so much for helping us sell our Sun City Roseville home so efficiently. Thanks, Lenora, for all your help in seeing we are getting to spend the holidays in our new home! I would absolutely recommend you to my friends and family! We received great service and you were very helpful through this stressful time. Thank you, Lenora, for all your hard work. We would absolutely recommend you to our friends and family! Pam was great to work with! We would absolutely recommend you to our friends and family! We want to thank you also so much for all your hard work. Thank you for calling us so quickly to make an offer on our new home, We just love it! We would gladly recommend you to others. Your help let us buy a house much sooner than we expected. We are very grateful for your help! I was very pleased and would recommend you. It was a great experience, especially how Lenora was able to be at the house when I couldn’t, which was frequently. That meant a lot and was a huge help? Thank you, Lenora for making a difficult scenario so easy. The support and guidance you and your team provided was excellent. We would absolutely refer your team to our friends and family! Should we opt to retire in Roseville, we know who to call. Our experience could not have gone better, thanks to all for the good work! Hire the best and get the best results! I would be happy to refer you to my friends and family, as you met our expectations as well as your professionalism, integrity, competence, as well as friendliness was exemplary. Should you ever wish a personal referral, it would be my pleasure to provide such; please do not hesitate to request one from me. You did a great job! Thank you! You exceeded our expectations, we would refer you to all our friends! Thank you for all the expertise provided! You went above and beyond. You are much appreciated! Please keep doing things the way that you handled my sale, I have always felt confident with Coldwell Banker! It was such a pleasure working with you and your team. You are all very professional, but beyond that, you were all so kind. You made the sale of her home so easy for Edie. Ken and I have sold several homes and this was by far one of the best experiences we have had! We will happily recommend you to anyone buying or selling a home. I want to thank the three of you for all your help and encouragement! The three of you are a great team! We certainly would refer our friends and family to Coldwell Banker Sun Ridge Real Estate, we could not have gotten thru the sale and move without all of you! I would absolutely refer you to my family and friends, it was an easy and great experience! Thanks for all your help in this difficult time! I will definitely refer you to our family and friends who may be looking for a home! You exceeded our expectations! We have never had better service, we are already telling our friends and family of the fabulous service and advice we got! We will recommend Coldwell Banker Sun Ridge (and Lenora) to anyone who expresses any interest in moving to this area! You guys are great (Lenora, Pam & Larry) will absolutely refer to friends and neighbors! Special "thanks" to Pam, she never gave up looking for a house we would like. You and Larry were prompt and well prepared on our first meeting. Everything was done with professionalism and attention to detail. Great team to work with! You staged my home elegantly. Larry hosted two open houses which led to the sale of my home.! Yeah! I was thrilled to see that my house sold in 2 weeks over the asking price! I am very pleased with our experience and your staff. The home sold quickly and everything went so smoothly, I couldn't believe it was actually happening! I have sold 9 homes in my life, this was the best in every way! Dear Lenora: Your team made it a very professional, simple, and "painless" process! We will definitely recommend! Thank you again Lenora for such a fast, efficient and professional job selling our home! week after it began. Excellent! You are professional and personable. You are extremely knowledgeable about real estate in Sun City and you work very hard to make the selling experience a positive one. You consistently returned calls, arranged and managed inspectors and work crews, once met with us personally to review and sign documents. You were always upbeat, friendly and a great communicator. We loved working with you. The service and assistance we received far exceeded our expectations. We were delighted with how easy the purchase of our new home was and can't wait for you to sell our home! Lenora, we would recommend Coldwell Banker Sun Ridge without a question, you met and exceeded our expectations! Coldwell Banker is very lucky to have such a fine lady as yourself as an agent. You assured us - respected us, and were a very knowledgeable agent in every way! They are very lucky and we were very lucky as well! We are pleased with Lenora and feel we were treated better than ever - so pleasant, personable and professional with a beautiful personality - thank you so much! We are writing to express our appreciation for excellent service. Over the last 15 years our family has purchased and/or sold properties in Sun City. Lenora Harrison has been our broker and facilitated our transactions with ease and professional skill. Her attention to detail has been superb and unwavering. Lenora has also provided us with answers to any inquiries concerning current property information and best valuations to use when deciding to buy or sell. Her opinions have been realistic and trustworthy. Again, thank you very much for ‘being available’ over the years as we have grown our business. We look forward to our future dealings. It has been a pleasure to work with you, there aren't many people left in this world that work at your level of professionalism. Your efforts have been well noted and much appreciated, thank you! Seeing that you sold the house in 10 days, we didn’t really have a chance to get to know you – Great Job! Having the stager free of charge was nothing but awesome! You’re so professional! I have no suggestions to improve service. We were very satisfied with the service we received As a first time experience, under stressful circumstances, you were most helpful. Thank you so much for your help. I would give you all “A’s” in the satisfaction category for your company. You have done a great job for me in a bad market! Our home listed and sold in 4 days! We couldn’t have asked for anything better than that, except more money! Keep up the good work and thanks for everything you did to make the sale! 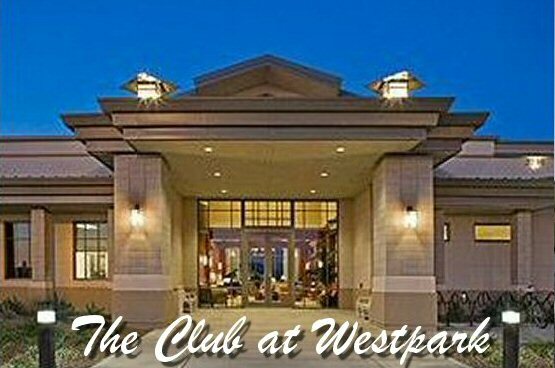 You definitely met our expectations and we will refer you to our friends and family. Bruce and I would like to thank you for all your help in selling our property! It was a long haul, but Lenora, Cindy and their team were with us every step of the way. Open houses every weekend and more! Thank you both for all the good work and hard efforts made in helping to close our deal and for my loan to be paid on time. We listed our home with you due to your knowledge, experience and reputation in the community. Your familiarity with all of the properties, the neighborhood, and the lifestyle enable you to be very effective in the pricing and promotion of properties. Our home sold quickly not only because it was a nice property, but also due to your expertise. You and your staff were very courteous and efficient, and assisted us at every step along the way. You not only met our expectations, but exceeded them. We feel we have found a new friend! You did an excellent job for me. I can’t think of anything more all of you could have done. I would most definitely recommend you to everyone. I appreciated and enjoyed meeting all of you and your hard work. You more than met our expectations! This was the 7th house we’ve sold in our lifetime and by far the easiest transaction. The Sun City Realtor who knows the territory and matches house to client with aplomb! We sold our second house with your help in a very tough market. Your ability to help us determine price, hold many open houses etc. turned out to make the difference. A much tougher sell this time than the last, but still a sale, and that’s what we wanted. We will highly recommend you to everyone! All of our expectations were exceeded! Lenora was terrific and all her team at the office was always helpful and efficient. They went beyond merely selling a house, by giving us valuable information for all our needs, as new homeowners. Lenora “showed her colors” and demonstrated her expertise – by showing us our house the first day it went on the market! The “For Sale sign” wasn’t even posted! We fell in love with it immediately. Lenora listened to our needs and we felt a warm, glowing relationship between the three of us. No wonder she was so highly recommended. Thanks for everything. We would like to extend our appreciation to you and your entire team for the great job you all did in selling our home in Sun City Roseville. The use of the latest technology, by way of your website, well designed flyers, publication of our home in the local newspapers and your very hard work in marketing our home proved to be the combination that was right for us in that our home sold in ONE WEEK! Thank you again for your outstanding performance for our home sale and we would gladly refer you to anyone that is looking for a realtor, anywhere in the world! Thank you again for all your help with the sale of my mom and Joe’s house. Doing this from 2,000 miles away was a breeze and a lot easier than I ever imagined it would be. I would highly recommend your Real Estate Company to anyone that is thinking of selling a home in Sun City! 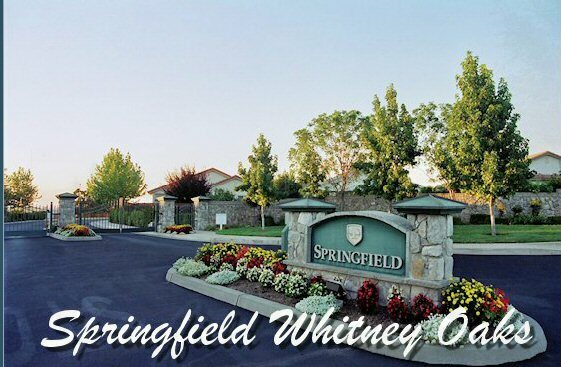 Thank you so much for your help in selling our home in Sun City Roseville this past month. You were extremely businesslike and we were thankful you kept us so well informed and were in contact with us frequently since we were out of town so often. The staging you arranged for our home was welcomed and we were so pleased with Claudine. The marketing of our home was managed well too and the many open houses you held really made a difference in the time it took to sell our home. Again, thank everyone in your office for their professionalism and person assistance they all gave to us during our time with your company. We would not hesitate to refer you as a realtor, and thanks again! You and Cindy were wonderful in expediting our close of escrow before the holidays. We appreciate the prompt reply we received on all our questions!! We would absolutely recommend you to our friends/family. Thank you for the housewarming gift! Recommending particularly you Lenora, was a “no brainer”. With you at the helm, your company is guaranteed to continue to be #1!! It is hard to beat a full price offer on the first day! We couldn’t be more pleased with your prompt and cheerful service. I doubt if I could give you any suggestions to improve your customer service. You met all of our needs and then some…..of course you are on my priority recommend list!!!! I will, and already have, referred you to my friends and associates. Overall, the experience was most enjoyable and your professionalism was appreciated. 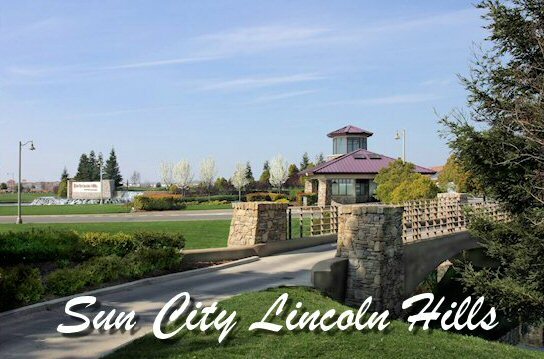 Your firm recently sold my Sun City Roseville Home. From listing to closing, my experience was one that I won’t soon forget. The entire staff was professional and friendly. I came away with the feeling that I had made several new friends. Thank them all for me. We were very happy with our experience with Lenora. Cindy was great to work with as well. I have referred people, presently two so far. I will keep recruiting people for you here in Sun City. I appreciate Lenora’s attentiveness very much. In her absence, Cindy in the office, was also very supportive and efficient. I was in good hands all the way! We send our thanks to you and your great team as you represented us in the purchase of our home in Sun City Roseville. From the time that we first saw the “For Sale” sign and called to view the home through the closing process, we received extraordinary assistance. We were able to visit the home on our schedule before making the offer, and every step of the purchase process was flawless. This home purchase was somewhat complicated by its being a probate sale with a large number of heirs who had to be involved. You and your team were able to work with us and the estate administrators to ensure that we met all the legal documentary requirements in a timely manner and also to see that escrow was not only closed on time but that all contingencies were met. Beyond that you also provided personal touches that made us feel very welcome in our new neighborhood, including the beautiful plants and the lovely new address labels. 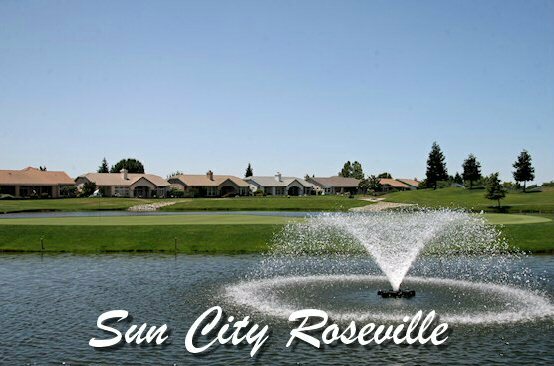 We look forward to continuing our relationship with you as we reside in Sun City Roseville and we thank you for your excellent service. I not only would recommend your real estate office, but also was very pleased with your service. Lenette and I are pleased to have been represented by you and Coldwell Banker Real Estate. In a very cold market you stood in there and gave us courage. Tom was a blessing also. He met all of the prospects that came to view our home, and he did it with professionalism and grace. If we have another home and need to sell it, which you and I both know this will never happen, we would call on you and your staff to do the honors. Lenora: Wanted to let you know that I would definitely refer you to others and already have boasted about your fine service! Thank you for the kind way you and Linda dealt with my Mother, respecting her age and frailty with dignity! Your professional service was expected and required. Professional service was delivered by you even when you were on vacation! The exposure our house received, the hits on the Internet, open houses every weekend, requesting feedback from potential buyers, and the personal touches and decoration you added to an unoccupied home was more than my brother and I expected or could imagine! In a depressed housing market your optimism and professionalism SHINED BRIGHT! Yes, I would recommend and refer friends and family to Coldwell Banker Sun Ridge! Lenora you were “excellent” in everything and understood our family. I would refer you again. I interviewed three companies and Lenora was #1 in professionalism, knowledge and general caring. She followed through with completeness in my expectation goals. Her assistant was complimentary to the overall success of the sale.